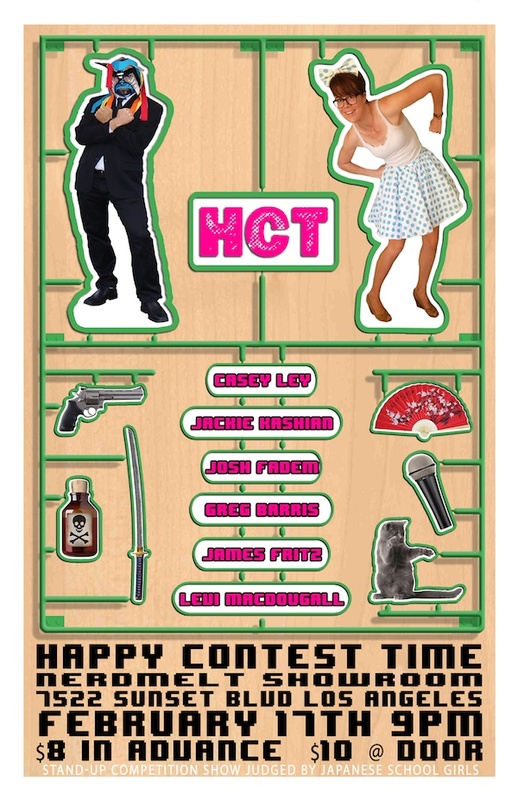 Quick Dish: Don’t Miss HAPPY CONTEST TIME at NerdMelt 2.17! Folks, watch an all Japanese panel determine “The Funniest Person in the World” from a group of very frightened comedians. You’ll be glad you did! Mentions: Show 9:00pm. Buy HCT tickets HERE. The Nerdist Showroom is located at 7522 Sunset Bl., LA. Get more HCT deets if you dare.